Take five with family and friends. This adviarter picked the shell and focused on picking pastel colors of pink, purple, and yellow. 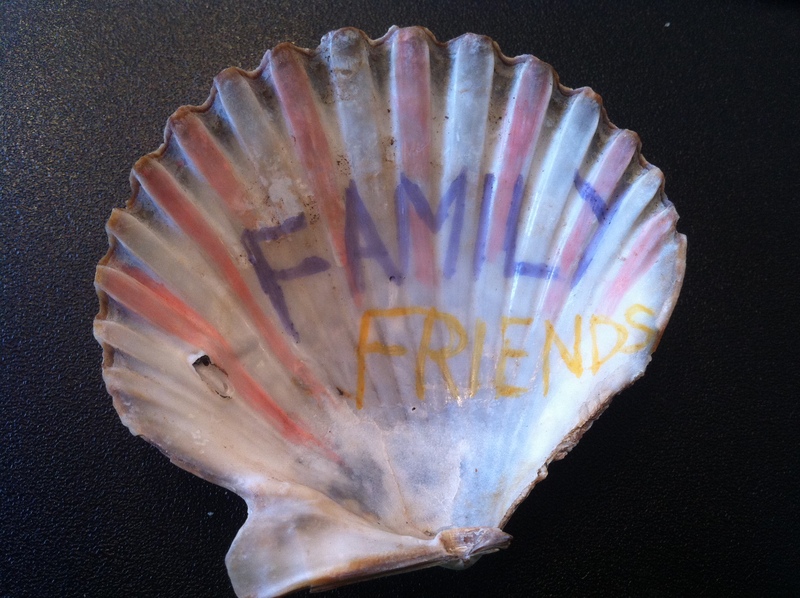 Family and friends are written out across the shell in bold, capital letters. The words and design of the pink on the spine encapsulate the inside of the shell. The advice to take five minutes and focus on family and friends to balance out life each day. Family and friends are extremely important to this adviarter. Family and friends are a huge asset to anyone–providing support, encouragement, and advice. The balance of spending time with family and friends with academics and work sometimes is challenging. How do you go about ensuring balance in your life with family and friends?